Fast, easy, brilliant results, this ColorSphere toner is tuned with the printing system to optimize quality and reliability. Hassle-free, photo-quality printing is easy so you're more productive. Enjoy fast print speeds without sacrificing print quality. 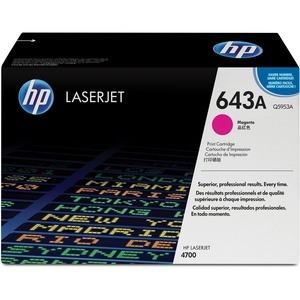 Cartridge is designed for use with HP Color LaserJet 4700 Series. Cartridge yields approximately 10,000 pages.